THE IRISH PENAL Reform Trust (IPFT) has criticised the Irish prison system today as “over-reliant” on prolonged solitary confinement as a method for securing prisoner safety. At the launch of its annual report today, the IPFT also called for the practice of holding prisoners in isolation for more than 15 days must cease. A recent report by the Inspector of Prisons showed that there were 193 prisoners on 23-hour lockup in March 2013, with little or no contact with teachers and services and just one hour a day of out of call time for shower and exercise which often means walking alone around a yard for 45 minutes. The trust said that where any category of prisoner is held on lockup for 22 hours or more, this “must only ever be a temporary measure, and robust safeguards must be in place in relation to the use of such regimes”. It also said that solitary confinement should never be used for prisoners detained on remand, for people with mental disabilities or for juveniles. Speaking ahead of the annual IPRT lecture in Dublin,Executive Director Liam Herrick said that “the potential harm to prisoners’ mental health can be caused by extended periods of isolation” means that it should only be a temporary measure. He said meaningful rehabilitation is “simply impossible” in current conditions and this “damaging practice” will have long term negative consequences for the prisoner and for society. 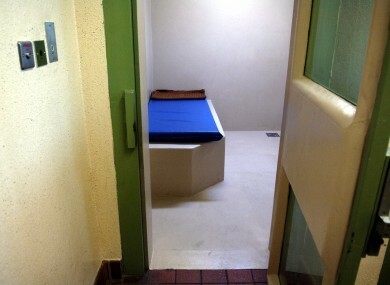 Although the term is not widely used in Ireland, the practice of isolating any person in a cell for 22 to 24 hours a day is internationally regarded as solitary confinement. When this extends beyond 15 days, it is considered prolonged solitary confinement, at which point the harmful psychological effects of isolation can become irreversible. The adverse health effects associated with isolation range from insomnia and confusion to hallucinations and mental illness. These health risks can arise after only a few days and can increase with each additional day spent in isolation. Recent figures show that 25 per cent of all inmates at Irish prisons are on protection. In May 2013, of the 673 prisoners on protection, 112 had been on protection for three to six months and 385 for more than six months. Email “Irish prison system 'over-reliant' on prolonged solitary confinement”. Feedback on “Irish prison system 'over-reliant' on prolonged solitary confinement”.